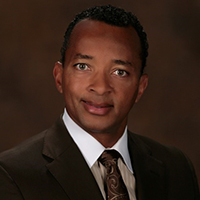 DuJuan A. McCoy is a 1989 graduate of Butler University, where he earned a B.S. in Business Administration with a concentration in Marketing and Sales. He began his television career soon thereafter in 1989 as an Account Executive for WTTV in his hometown of Indianapolis, IN. Over the past 30 years he has amassed a great TV career growing small, medium and large market broadcast television stations into revenue winners while significantly improving company profitability and community involvement for the stations. With this purchase, Mr. McCoy and Bayou City Broadcasting earned the distinction of being the only African American company to own and/or operate a Fox Affiliate in the United States and purportedly the first African American to own and operate a major broadcast affiliate in the state of Texas. For the next five years, Bayou City Broadcasting significantly improved the operation of these properties and in December 2012 divested those TV assets to London Broadcasting. From 2012 through today, Mr. McCoy has personally raised in excess of $200M in capital to acquire more broadcast TV properties. In January 2015, Bayou City Broadcasting Evansville, Inc. acquired WEVV (CBS) and WEVV.D2 (FOX) in Evansville, IN where he has launched over 51 hours of new Local News per week to the stations since his purchase. In January 2017 Bayou City Broadcasting acquired the NBC, Fox and MyNetworkTV affiliates in Lafayette, LA. Where he also added 26 additional hours of local news per week to those stations. Bayou City Broadcasting currently owns and operates five local broadcast TV stations in two markets and is actively seeking to add more Broadcast TV Stations to its stable.